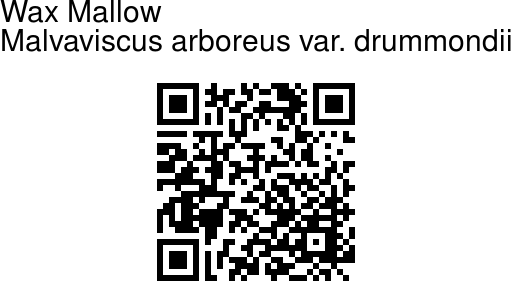 Wax Mallow is a spreading shrub, often as broad as high, grows 2-3 ft, rarely reaching 9 ft. It can be considered a dwarf variety of Sleeping Hibiscus. 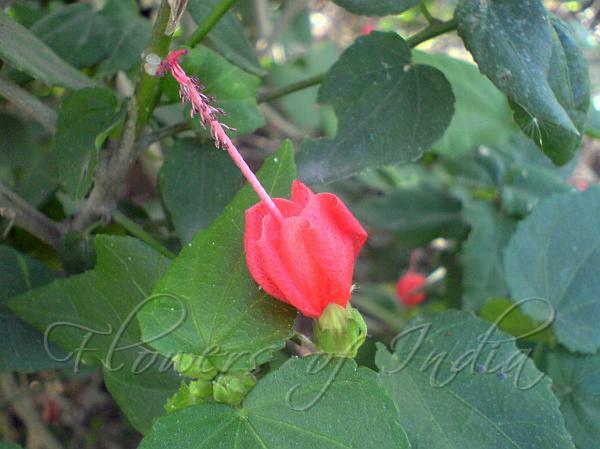 Bright-red, pendent, hibiscus-like flowers never fully open, their petals overlapping to form a loose tube with a long stamen column protruding out. In the Mallow family, the stamens are fused together by their filaments to form a tube (but still have separate anthers), through which the style passes. This plant can be cut back to make a ground cover. The variety name of this plant is named for Thomas Drummond, (1790-1835), naturalist, born in Scotland.